Marriage can be described as a union between a man and woman to live together as husband and wife, after they have gone through all the processes or rites that are recognized by the families of both parties. Divorce, on the other hand can be described as putting an end to the marriage that previously existed between two married people. 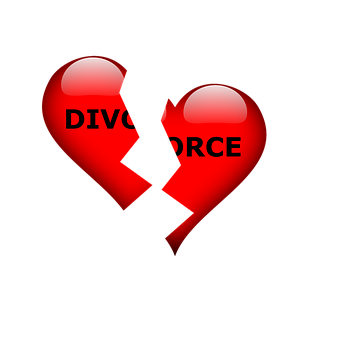 It is not a divorce if one of the couple just moves out and says he or she is no more interested in the marriage. The marriage ends when, if under traditional marriage, one party sends drinks to the family of the other party, indicating that the marriage should be annulled and it is actually annulled by the appropriate elders of both families. If it was a marriage under the ordinance, only a judge acting under competent jurisdiction can annul the marriage on very tenable grounds. The major question on the minds of many people is how divorce affects people around, including children, family members and even the spouses themselves. Broken homes, caused by divorce can lead to a lot of things, some of which are discussed below. The first obvious thing to see after a marriage ends is the physical separation of the couple. Whoever gets custody the child or children go one way and the other partner also goes his or her way. The one who has custody of the children now has to single-handedly take care of the needs of the children. A job that used to be performed by two people is now performed by one person. Where there is no financial support from the other, this can be burdensome. The absence of one of the parents can lead to less parental control or absolute absence of same. The supervision of the children would no longer be as efficient as it used to be when the marriage was intact. This can lead to the acquisition of certain habits that may be detrimental to the well-being of the children. The bitterness associated with the breakdown of the marriage pushes some of the spouses to willfully shirk their parental responsibilities toward the children. The man is not willing to support financially because he fears the woman would also partake in the money he sends. If the child was staying with the man, the woman would be unwilling to render any form of support just to spite the man and make him look bad before the children. Another negative effect of a broken marriage is teenage pregnancy on the part of the teenage children. The financial pressures of single-parenthood may lead to the inability of the single parent to adequately provide the needs of the teenage girl. Consequently, the teenager may seek such help from people who might take advantage of them, especially men, leading to unwanted pregnancies in their teens. After some divorces, the single parent may find it very difficult to adequately cater for the children. Under such circumstances, the children may decide to venture into the street to see if they could find any economic activity to help themselves and the family. They engage in all types of activities jobs to survive. Eventually, they end up living in the streets and since there are no learned skills to fall on to earn a decent living, they fall on their brawl which cannot last them forever. The girls are lured into prostitution by pimps who are on the lookout for girls to replenish their stock of prostitutes. The girls are sometimes compelled to enter into prostitution because they have nowhere to turn to. Others, by this time may have developed loose morals so to move a notch higher into prostitution is not a difficult thing for them to do. 1. Examine four (4) problems created by broken marriages in the Ghanaian society. Why is it important to marry?